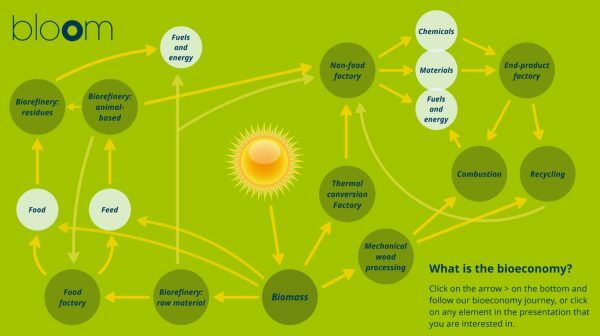 To get a deeper insight into the bioeconomy value chain, we invite you on an interactive journey through our bioeconomy infographic. The repository is a searchable tool of bioeconomy information and educational content already available in the internet and all materials generated by the project: educational and outreach materials, videos, virtual experiments, posts, virtual live events, dissemination activities, etc. BLOOM is collaborating with the Bioways project. For a searchable document repository with general information on bioeconomy, please visit the BioWatch platform.